The Salty Sistas served up a fiesta of pink recipes at the Four Seasons Hotel The Westcliff in South Africa, courtesy of their new Himalayan Salt Cooking book. Paired with exquisite beverages such as Pierre Jourdan MCC, Haute Cabrière wines and S. Pellegrino mineral water the feast came together seamlessly, showcasing the versatility of Himalayan crystal salt gastronomy. There are a variety of Himalayan table and crystal salt products for the average kitchen, but the less common salt block delivers a better taste and more mineral content. And there are numerous ways to cook with a salt block that are both nutritious and delicious… all laid bare in a beautiful new Himalayan Salt Cooking book by chef and Salty Sistas/ SaltPur Cape Town owner, Liezel Maree. 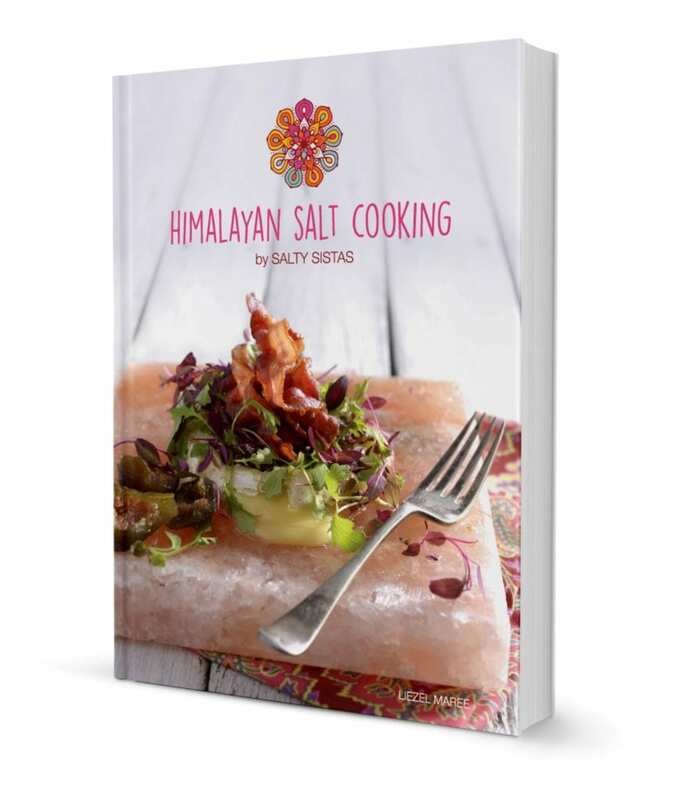 The exciting new Himalayan Salt Cooking book explores the entire Himalayan salt cooking range with beautiful full colour photography by professional food photographer, Roelene Prinsloo. The comprehensive cookbook covers cooking on salt with easy to follow recipes in three exciting sections (stovetop, oven and braai), as well as a fourth section dedicated to serving on salt, and further tips and tricks for curing, using and cleaning a salt block. The Salty Sistas range is specially manufactured, imported and distributed by SaltPur. Their range of Himalayan crystal salt products include a variety of different size salt slabs, bricks, chopping boards, bowls, shot glasses, lamps, candle holders, massage stones, bath chunks, deodorant stones and mud masks. For more information on Himalayan crystal salt and the Salty Sistas range of products email [email protected] or visit www.saltysistas.co.za.